Canberra FC captain Ian Graham said the side is capable of winning the treble despite key departures. Photo: George Tsotsos. 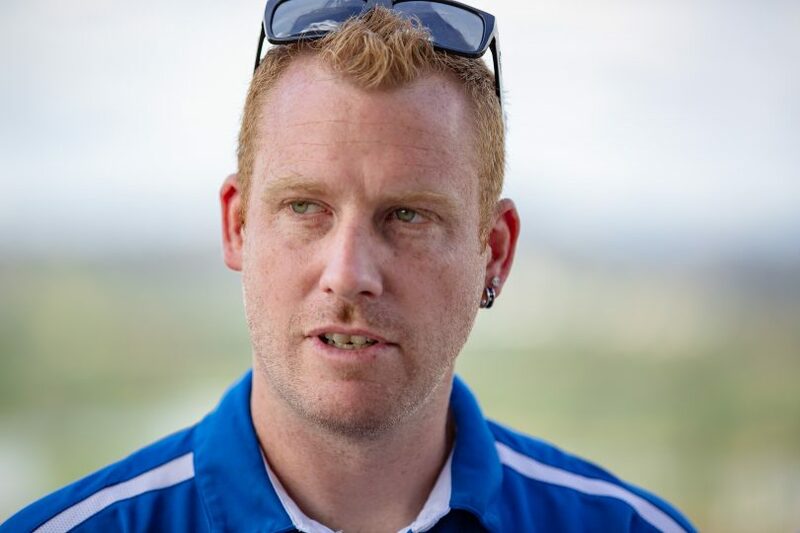 Canberra FC captain Ian Graham believes his side is capable of repeating last season’s treble success despite losing key strikers and their head coach for the 2019 season. 2018 was the definition for an almost perfect season for the club, who lost just two of their 16 regular season matches, finished the season with a 33+ goal difference and went on to win the league, Federation Cup and grand final. The only smear on their record was their disappointing 4-1 loss to Newcastle-based Broadmeadow Magic in the FFA Cup, after taking the lead early in the match. The football powerhouse in the nation’s capital is still hurting from that loss and their veteran captain said it will spur them on this season. 30-year-old Graham said the fire is still burning in their bellies to go back-to-back and is focused on improving their FFA Cup run this year. “We are looking to raise the bar again this year,” Graham shared. “There are four trophies up for grabs, including the FFA Cup. 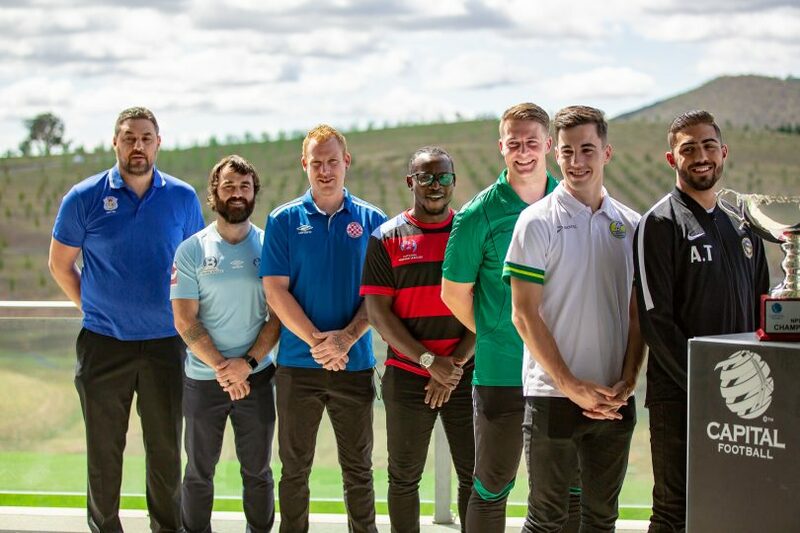 Ahead of the 2019 Charity Shield this Friday night, Canberra FC NPL captain Ian Graham spoke with Lachlan Roberts about the side's preparations leading into the match, his pick for a dark horse this season and his thoughts on promotion and relegation. “Going further in the FFA Cup is a big goal of ours. We want to go as deep into that as possible this year, which is what we have been preparing for most of the preseason. Last season’s treble winners will be without head coach Paul Macor, who has taken the year off due to an extended period of travel. He will be replaced by Luka Ujdur, the former Canberra Olympic assistant. The side will also be without Thomas James and Kofi Danning, with both strikers signing deals with Wollongong Wolves and rivals Canberra Olympic respectively. James will be a massive loss for the club after he scored a remarkable 19 goals for the campaign and struck up a brilliant partnership with ex-A-League star Danning. Graham was adamant the side has recovered from their key strikers’ departures and pointed to the side’s miserly defence last season – conceding only 13 times all season – as the reason why they will be contenders again this season. “Luka has brought in a lot of new and fresh ideas,” he shared. “It took a couple of weeks to get used to the new system but each week we have been progressing and raising the bar. Canberra FC will come up against Gunghalin United in the Charity Shield on 29 March before kicking off their NPL1 season with a blockbuster grand final rematch against Canberra Olympic at Deakin Stadium on 5 April. “The first game against Gungahlin will be used as a yardstick to see what we need to improve on in the week leading up to the Olympic game because that is when we really want to start winning games,” he said.